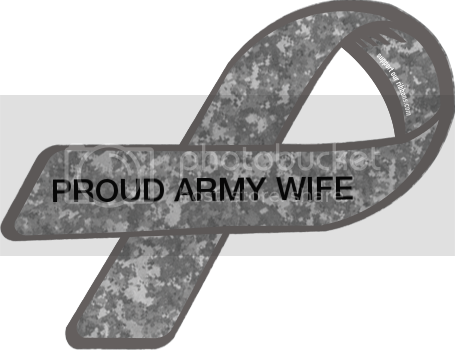 12 weeks pregnant today! Today Baby George is the size of a lime or tangerine! Purchased some magazines and books today, doing some more research. 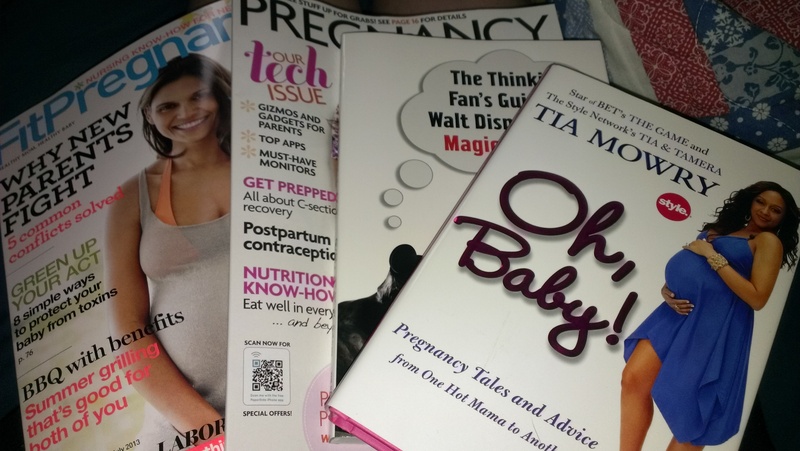 Fit Pregnancy, Pregnancy & Newborn, “Oh, Baby!” by Tia Mowry (needed a funny book, already read Jenny McCarthey’s book years ago just because I liked her, might reread it again. ), and a non-baby book “The Thinking Fan’s Guide T Walt Disney World: Magic Kingdom” by Aaron Wallace. I read those two magazines in 3 hours… 3 HOURS FOR TWO MAGAZINES!? I am so full of (limited) knowledge right now it’s crazy… and reminds me that I need to still do tons more. Oooh well… Anyone a fan of these mags or have read Tia Mowry’s book? Or if your a Disney fanatic like me, read Aaron Wallace’s book? I needed some new reading. I have some books on my Nook, three to be exact, that I am currently reading that I keep switching between. 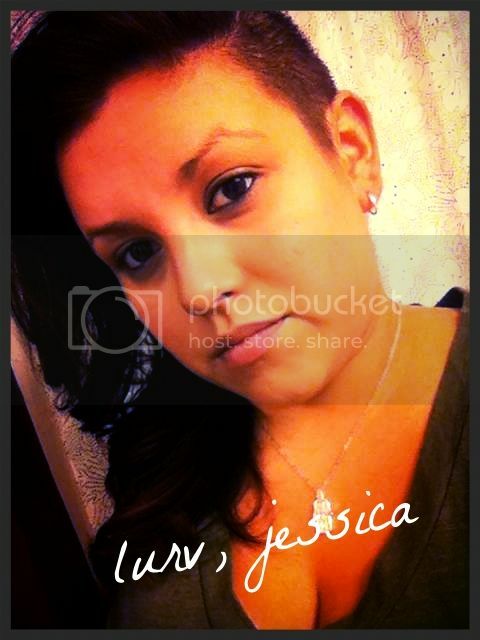 I have temporarily lostinterest and needed something different. I did find an old book I never finished yesterday and finished it within a half hour. It was a book I bought July 2012 on my trip to Disney World and I read majority of it. Then I found another book I have had for a few years, wanted to start it again but I felt like I can save that for something to read this summer. 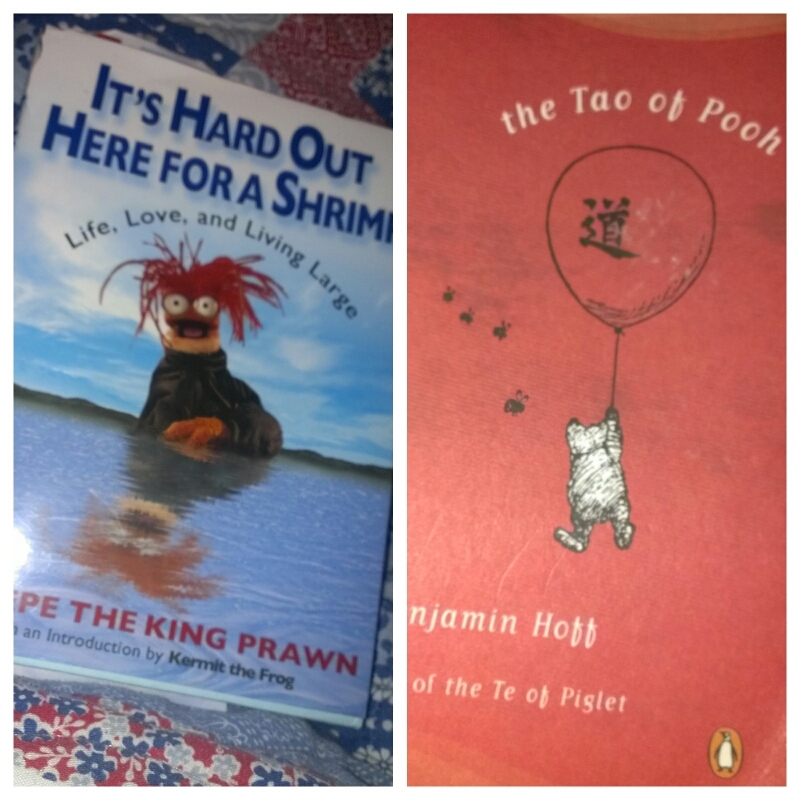 “It’s Hard Out Here For A Shrimp” by Pepe the King Prawn and “The Tao of Pooh” by Benjamin Hoff. 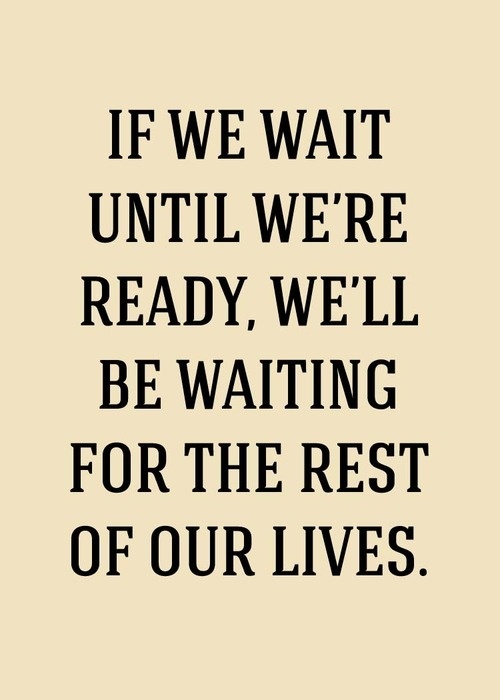 So we’ll see how that works out… Umm… that’s about as exciting as today got. What books or mags are you reading? (especially Disney books, my fav!) You can only buy so much on the Nook! Enjoy! “May I be filled with loving kindness. May I be Peaceful and at ease. 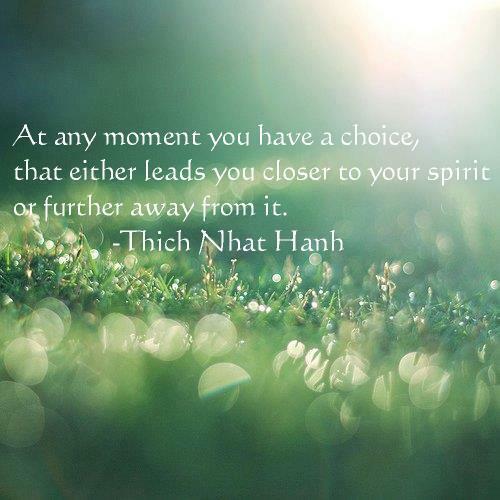 I want to get into meditation and yoga. Hmmm… Where to start?